Measures had been taken to purchase 160 new railway compartments and 20 locomotive engines for the Sri Lanka Railways (SLR), Transport and Civil Aviation Minister Nimal Siripala De Silva said. 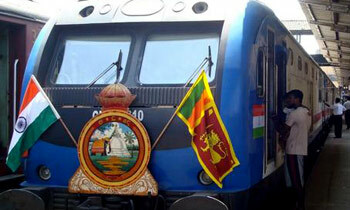 Attending a function to commission a semi-luxury train service between Colombo Fort and Matale on Friday, January 20, he said the Railways Department was considering purchase of special and efficient engines manufactured in the Europe for servicing hill country lines. The purchase would be made using funds granted by India. “It will take one-and-half years to receive the locomotive engines after placing an order. Then only can we create a quality railway service. The Government has decided to keep the transport services even it created a loss for the benefit of the people,” the Minister said. He also said that the railway tracks would also be upgraded to give a quality and speedy, safe and comfortable service. He also said that the railway tracks would be maintained accordingly. The SLGR, as a passenger and freight oriented transport sector, had contributed a good service to the public and private sector, he said. “And also has served well as a working class passenger transport, coal transport, oil transport in the country,” the Minister said. This is good, but what we need are power sets for an efficient suburban service when considering about 750,000 people who use the train service daily.. The Railway must be more service oriented by providing good maintenance to running stock. The current situation need to be improved as soon as possible. He must be full of smiles and very happy these days. The Chilaw train service also needs to be upgraded the carriages are old and dangerous. Trains help keep cars and trucks off roads and even if they loose money you gain in not having to upgrade and maintain expensive roads. Not only upcountry South also.